Pak Mail of Bentonville now has a new responsive website. Now our customers can browse our services, track a shipment, or request an estimate from any device. 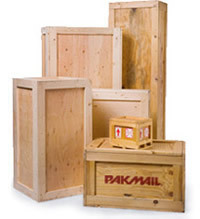 Pak Mail specializes in custom packing, custom crating, and shipping, but that’s not all. Since we are located in Bentonville, we provide Wal-Mart and Sam’s Club Supplier and Vendor Services. Stop by or contact us to see what we can do for you.